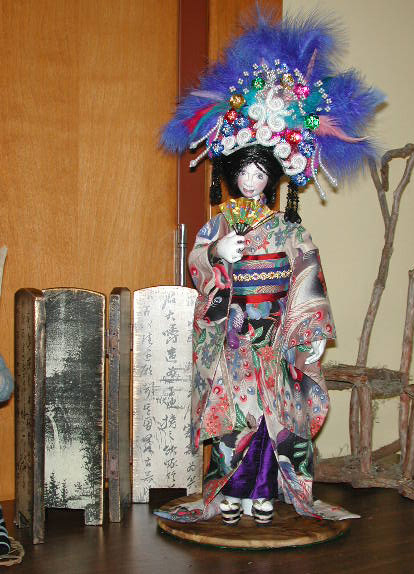 This doll was made solely by me in a workshop given by Annie Brombel who was the doll designer. I have named her "Belinda". This doll has no commercial pattern yet. 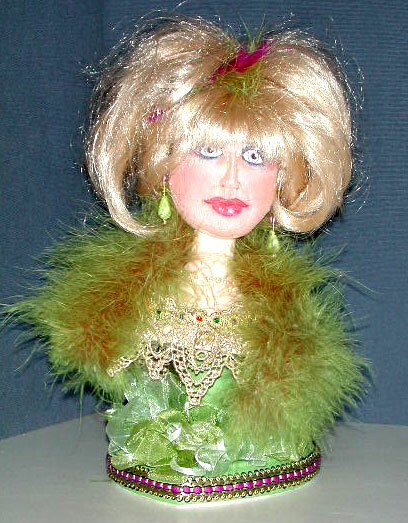 This ia a doll that was done in a workshop with Patti Medaris Culea. She has a lot of dying on the body. Her face is hand painted rather than sculpted. Her name is "Sunita". belongs to another wonderful local dollmaker and designer Peggy Wilson. needless to say I am very happy with the final outcome.I have named her Asian Beauty.